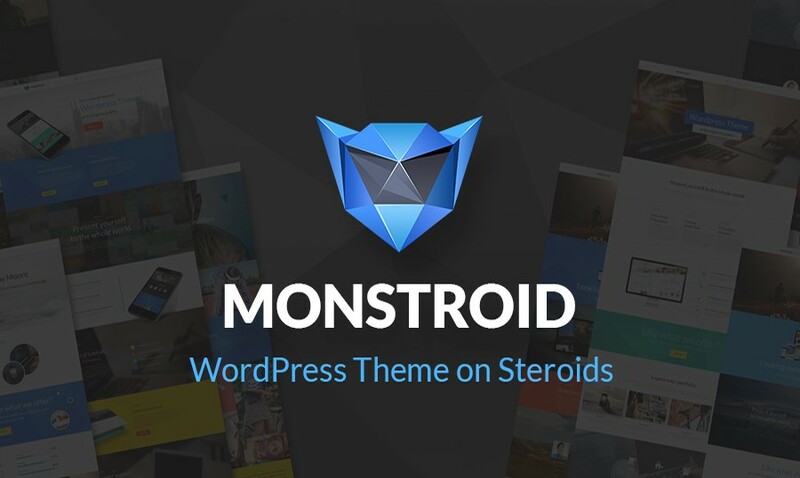 Monstroid is a perfect solution for any WordPress website, whether it is a blog or a store. It is also quite universal, as both beginners and developers will be able to use it without any problems. Using the power of all those plugins included into the package one can do almost anything with the website powered by Monstroid theme. 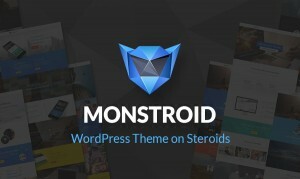 Monstroid is a universal theme that can be used for designing any website. Initially, it has the main theme i.e. Monstroid, and an assortment of child themes created for various business niches. Would you like to check out more templates for your graphic design wordpress website? Make sure to look at one of the best business WordPress theme page! Monstroid Installation Wizard – allows to install the theme and all theme components with just a few clicks. Skin switcher – allows admins and users to switch between different skins: flat, minimal, dark. Style options – allows users to choose one of four layouts: masonry, flat, grid, masonry flat. Shortcode Templater – allows to create shortcode templates and edit them in a quick and easy way. Static Area Builder, Dynamic CSS, СSS minifier, 100+ Exclusive shortcodes, Multiple Sliders on Board, 50+ Royalty-Free Graphics, Full Social Networks Integration. Free Lifetime 24/7 Support and Updates. To edit the template source code, you can use code editors like Adobe Dreamweaver, Notepad++, Sublime Text, etc. To upload files to a hosting server, you will need an FTP manager like Total Commander, FileZilla, CuteFTP, etc. “theme” – contains WordPress theme files. “cherryframework4.zip” – archive with the CherryFramework4. “theme55555.zip” – archive with the theme (child theme). Contains all theme files. “sample_data” – contains the files that make the WordPress website look like our live demo (automatic installation). “manual_install” – contains the files that make the WordPress website look like our live demo (manual installation). “newsletter” – contains Campaign Monitor and MailChimp newsletter templates. Note: For security reasons the sources folder is in a zipped file and is password protected. To uncompress a password protected .ZIP file, you will need to have a zip file utility program installed and the correct password. As soon as the zip file begins to uncompress, you will be prompted to type in the password. The password is the ID number of your order. You can find this number on the order page following the download link sent to you via email. Please, help us to preserve the quality and uniqueness of our products by not uploading the sources folder, either zipped or unzipped, to the server. This entry was posted in Monstroid. Bookmark the permalink.